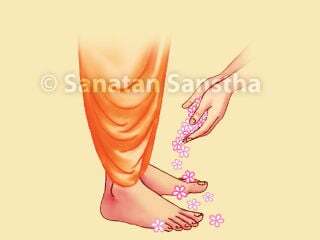 Especially on Thursday and on Datta Jayanti, draw sattvik rangolis which attract and emit Datta Principle, at home or in the temple. 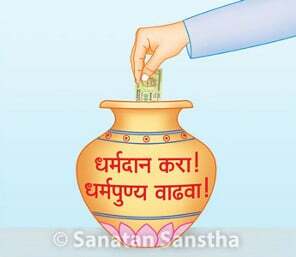 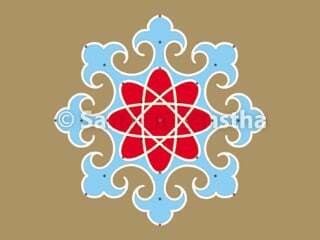 Due to these rangolis, the environment is charged with the Datta Principle and the devotees benefit from it. 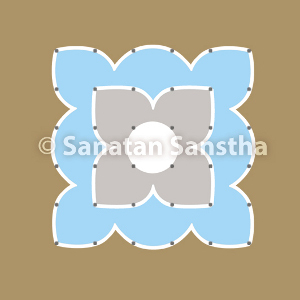 Some examples of rangolis which attract and emit the Datta Principle are given ahead. 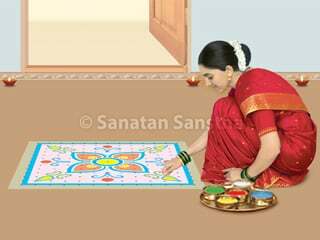 Fill sattvik colours such as yellow, blue, pink in these rangolis. 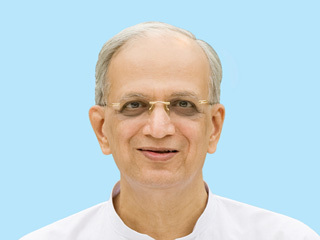 As per one Principle in Spirituality, word, touch, form, taste, fragrance and its associated energy co-exist. 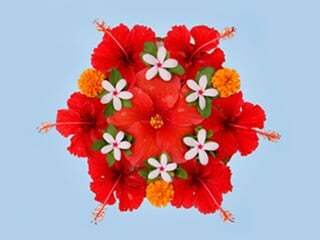 When slight modification is made in the shape and colour of the rangoli, then how its vibrations (of Shakti, Bhav, Chaitanya, anand and Shanti) change will be evident from the rangolis given ahead. 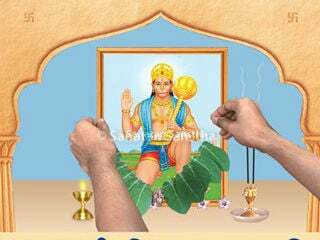 Draw this rangoli when ritualistically worshipping an Idol of Deity Datta. 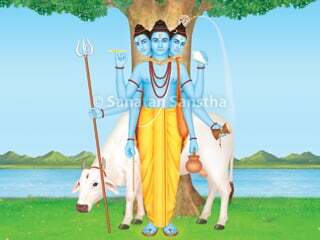 Draw this rangoli when ritualistically worshipping Deity Datta in the form of paduka or Audumbar tree. 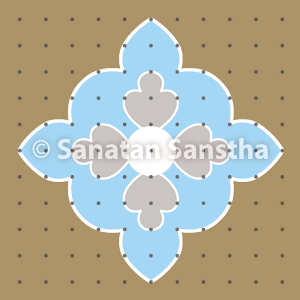 By changing the direction and angle of the corners of the rangoli that has vibrations of manifest bhav, vibrations of unmanifest bhav are created. 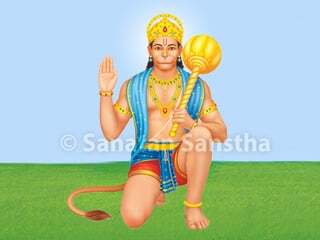 Draw this rangoli on Datta Jayanti. In all 4 rangolis, even if the outer appearance is same, just by changing the direction and inner design the waves change. 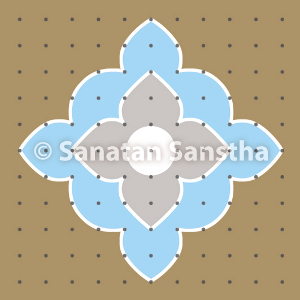 This rangoli is formed after changing the direction of the rangoli that emits bhav and anand.